Msane was born in Natal, but very little is known about his early life. He was educated at the Edendale Mission in Pietermaritzburg, and at the Healdtown Institution in the Eastern Cape. In 1892 he undertook a concert tour of Europe together with a Zulu choir. In approximately 1907 he left Natal for the Transvaal and became a compound manager for a gold mine in Johannesburg. He later became a black labour recruitment agent for black labourers, a paying occupation which secured him a substantial income. His political involvement started in 1900. 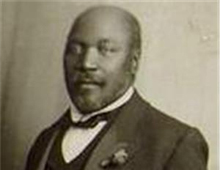 In 1901 he became a founder member of the Natal Native Congress (NNC), which aimed at educating the Africans about their rights and acted as a forum for registering grievances. After moving to the Transvaal to work on the mines, he joined the Transvaal Native Congress (TNC) but maintained his links with the NNC. The NNC instructed him in 1907 to propagate their Isivivane scheme for economic self upliftment in the Transvaal. Msane was one of the founding members of the South African Native National Congress (SANNC) in 1912. During the SANNC's first annual conference in March 1913 he was elected to a deputation that was sent to Cape Town to ask the government to revoke the draft bill of the Natives Land Bill. J.W. Sauer*, the Minister of Native Affairs, gave the deputation a hearing, but could not be convinced of the SANNC's case. The SANNC then decided to put their case directly to the British king and people. An emergency committee of which, Msane was the organizer was appointed to collect funds for this endeavour. Msane was also appointed as one of the members of the deputation to Britain. During the long voyage from Cape Town to England Msane spent a good deal of the time playing chess against all who were willing. He beat everyone and according to reports at that time it was difficult for some white passengers to accept that a black man could beat them. The deputation to Britain, however, was a failure. Directly after the outbreak of the First World War Msane was again a member of a SANNC deputation - this time to affirm the SANNC's support for the government in the war effort. During the war Msane attended meetings of the International Socialist League (a precursor of the Communist Party of South Africa), sometimes even acting as speaker, but in essence he remained a conservative leader. He continued to be active in the SANNC and in June 1917 was elected as its secretary-general. This election was the result of a misunderstanding over policy which forced Richard Thema*, the previous Secretary-General, to resign from his post together with the President-General John Dube*. In mid -1918 Msane headed a deputation of blacks to the Prime Minister, Louis Botha*, to voice the grievances of black mineworkers. According to Msane, the main grievance was the colour bar. Botha promised that their grievances would be investigated, but the promise was not carried out satisfactorily, which led to a strike a year later. Msane was, however, not involved in the strike. During the black mineworkers' unrest, which resulted in calls for a general strike on the Witwatersrand after the strike by the Johannesburg black sanitary workers in 1918, Msane played a leading role in trying to calm the workers' belligerent feelings. Among others he drew up a statement in which the idea of strikes was disparaged. It was published in white Sunday newspapers but brought abuse down on Msane's head, because after that he was nicknamed Isita sa Bantu (enemy of the people). His political role was in fact played out and he lived isolated from the black working class in Bree Street, Johannesburg. Concerning Msane's journalistic career: In 1910/11 he was co-editor with L.T. Mvabaza* of the English / Xhosa weekly newspaper Umlomo wa Bantu (mouthpiece of the nation), which was based in Johannesburg. In 1912 Umlomo merged with other relatively small newspapers to form Abantu Batho, the SANNC mouth-piece, which was distributed countrywide. On occasion Msane was the editor. By 1919 he was so concerned about the radical direction the SANNC, in his opinion, was taking that he, Isaiah Bud-Mbelle* and other conservative black leaders unsuccessfully approached the Chamber of Mines for assistance in establishing a newspaper to serve as an alternative to Abantu Batho. Msane passed away on 6 October 1919. • Please note: This biography is a modified extract from the following source: Sondedrling, N.E. (1999) New Dictionary of South African Biography. Volume 2. Pretoria: Vista University of Pretoria. Pp 139-140. If you would like to contribute to this biography please click on the contribute tab.